With the 50th anniversary of the 1964 Civil Rights Act fast upon us, the market for papers, ephemera, and memorabilia of the civil rights movement seems to heating up, bringing with it a wave of legal activity by the heirs, assigns, and executors of some of its most iconic figures, what we cheekily call “cease and desist letters from beyond the grave.” In just the past few weeks, disputes over the legacies of Rosa Parks, Martin Luther King, and Malcolm X have all landed in court. In Rosa and Raymond Parks Institute for Self Development v. Target Stores, filed in the federal district court in Montgomery, Alabama, the plaintiff claims to own the name and likeness of the eponymous instigator of the bus boycott, and brings claims of “Lanham Act False Endorsement,” “Right of Publicity,” Misappropriation, and Unjust Enrichment against Target for using “the name, likeness, and image of Rosa Parks” to sell products. Although at one point the claims seems to be that Target actually sold items bearing Parks’s likeness, elsewhere the implication seems to be that they used it in ads. A typo may be telling — at one point Target is referred to as “Mattel,” suggesting this complaint is a somewhat hasty clone of another case to come against the toy manufacturer. Finally, X Legacy, LLC v. Third World Press, also in the Southern District of New York, arises out of an evident dispute within the family of El Hajj Malik El-Shabazz–a/k/a Malcolm X. X Legacy, created by his heirs “to protect and enhance the value of the property held by his estate,” intends to release an authorized edition of Malcolm’s diaries to coincide with the 50th anniversary of his assassination in 2015. 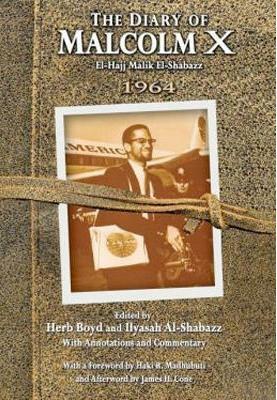 One daughter, Ilyasah Shabazz, has evidently jumped the gun, lending her name to the above-pictured Third World Press edition of the diary for 1964. X Legacy claims copyright infringement, and seeks among other remedies recall and destruction of all copies of the allegedly infringing edition.